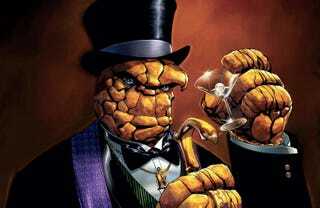 Is it clobberin' time? I think it might be clobberin' time. Because The Fantastic Four reboot movie just released a few new stills, including our first-ever good look at Ben Grimm in his ever-lovin', blue-eyed (and orange-rock-skinned) glory. Thoughts? Concerns? References to Ben Grimm's Aunt Petunia?